I read with great dismay an article last week on how Anti-Bullying programs in our public schools are not working. A University of Texas at Arlington criminologist Seokjin Jeong analyzed data collected from 7,000 students from all 50 states. He thought that the data would show the programs are working. He discovered just how wrong he was. Mr. Jeong stated that neither intervention or prevention seems to be working. Even more disheartening, according to the study the opposite effect seems to be at play now. The Anti-Bullying programs seem to infuriate the "bullies" with whom the program was designed to deal with on a daily basis. The anti-bullying videos, shown to students to discourage bullying, are thought to be inadvertently giving new techniques to bullies both in school and in social media such as Facebook. Some Anti-Bullying programs are actually giving these "bullies" ideas on how to not leave evidence behind that would be traceable back to them. Jeong further states that the programs should be considered as doing more harm than good now. 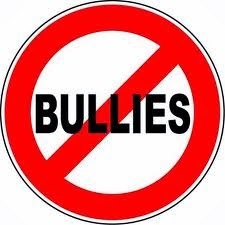 As I said in a blog post before (The Bully - The Coward), I was bullied all the way through school until I was in about the eleventh grade. It was only after I got bigger and was able to defend myself was I able to deal with bullies. But, a lot of kids (if not most) don't have the luxury of getting bigger to where they can defend themselves. The kids that get bullied the most are kids that are overweight. My heart goes out to the child who is obese, not just because of the health problems associated with that. But with the unending bullying and badgering that child must also endure at school. The fact that the Anti-Bullying programs are thought to now be a failure and, in some instances, are causing even more problems for bullied children leaves me disgusted. I'm not sure what the answer is now. I know how I would handle bullies now if I was given the opportunity to do it. I would find the biggest kid in school (who is not a bully, of course) and tell the bully to bully him or her. If the bully is the biggest kid in school (which is frequently the case), I would get three of the biggest kids I could find and tell him to bully them now. No one leaves until a resolution is made one way or another. Of course, school boards would never allow that to happen. It is just a frustrating issue that I thought had been resolved for the most part. Now, schools are back at square one.